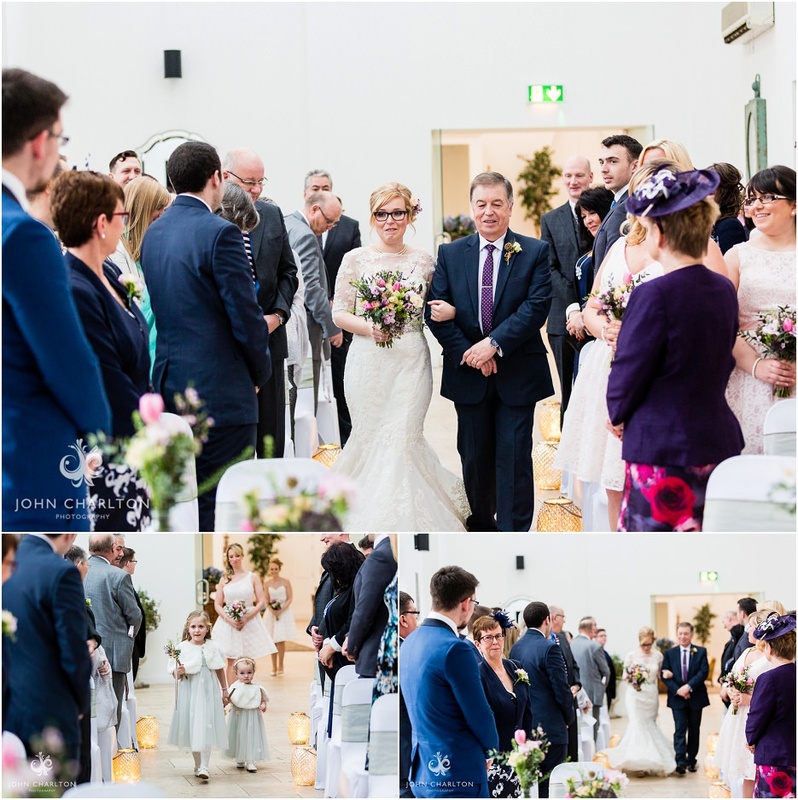 When I first met Helen and Richard I knew their wedding at Fazeley Studios Birmingham was going to be special. Getting dinosaurs and superheroes into your wedding is no easy task, yet this couple managed it! Your wedding day is the one day that you can put your mark on and make it your own. This is exactly what Helen and Richard did for their Valetines Day wedding. From the beautiful flowers by Bloom Fleuriste to the cake and, of course the cool contemporary look of Fazeley Studios, the whole day had this couple’s stamp on it. Following the ceremony which was beautifully unique, Helen and Richard enjoyed a drinks reception with their guests in the Grand Gallery before we took to the streets of Digbeth for their wedding photographs. 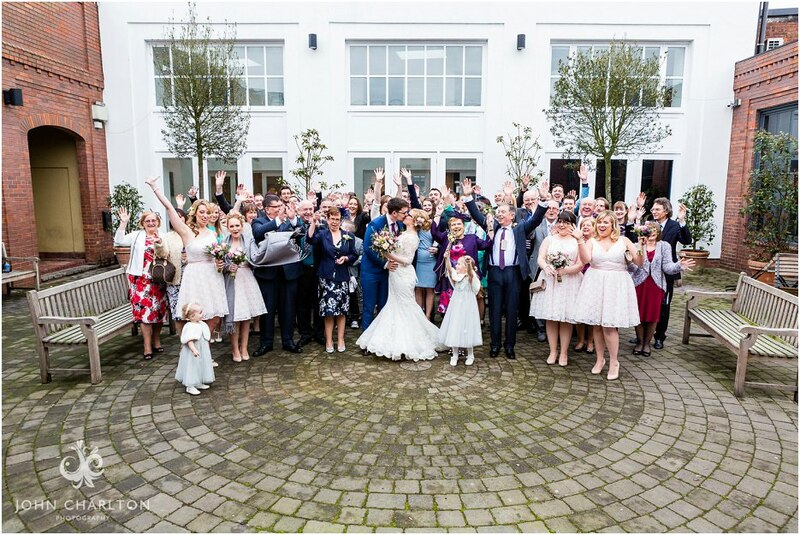 The setting of the wedding photographs around Fazeley Studios and the Custard Factory really fitted in with Helen and Richards request for their photographs to be urban, cool and most of all, fun! This was a beautifully unique wedding which I thoroughly enjoyed photographing. If you are getting married at Fazeley Studios or the Custard Factory in Birmingham – get in touch to have a chat about your wedding plans. Being based at Fazeley studios I have an intimate knowledge of these two amazing wedding venues. Wow! these images are beautiful and it’s great to see an example of local couple from the West Midlands on their big day. Helen’s bouquet is so pretty and the image of the superheros is fun too! Thanks Nicola – it was a lovely wedding to photograph and the couples styling for their day certainly shows through!